Any time I land in a new country, the first thing on my mind is always food. It doesn’t matter the place, it doesn’t matter the time, and it certainly doesn’t matter if I ate two hours ago on the plane. I feel like I haven’t properly arrived in a place until I have a portion (or two) of its food safely housed in my stomach. And it was the same when I set foot in Istanbul. For this trip, though, I hit the ground running. Rather than head to one of the copious Trip Advisor-recommended restaurants that surrounded my hotel, I got my hands dirty (or at least really garlicky) in a cooking course at Cooking Alaturka, a combination cooking course/restaurant tucked in one of the back streets of Sultanahment. Cooking Alaturka is run by a Dutch woman, Eveline, who’s lived in Istanbul for over ten years, and her Turkish right-hand chef, Feyzi. Over the course of six hours, Eveline and Feyzi taught us how to make five traditional Turkish courses. They’re quite a pair. Eveline’s enthusiastic and patient; she’s the teacher of the duo. Feyzi’s a man of few (English) words, but he had a wicked sense of humor that usually involved inviting us to try heaping spoonfuls of red pepper. 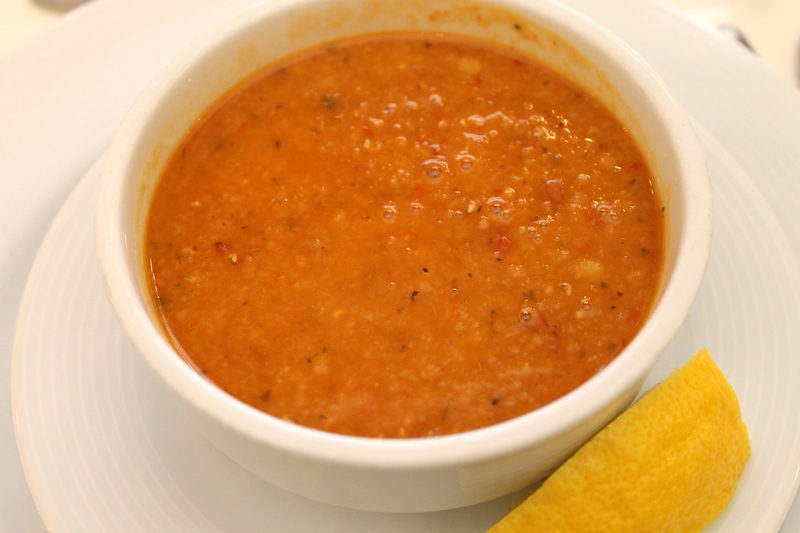 Ezogelin çorbası – red lentil and bulgur soup with red chili and mint. The chili added a kick, and the mint provided a cool complement. A squeeze of fresh lemon added a citrusy twist. 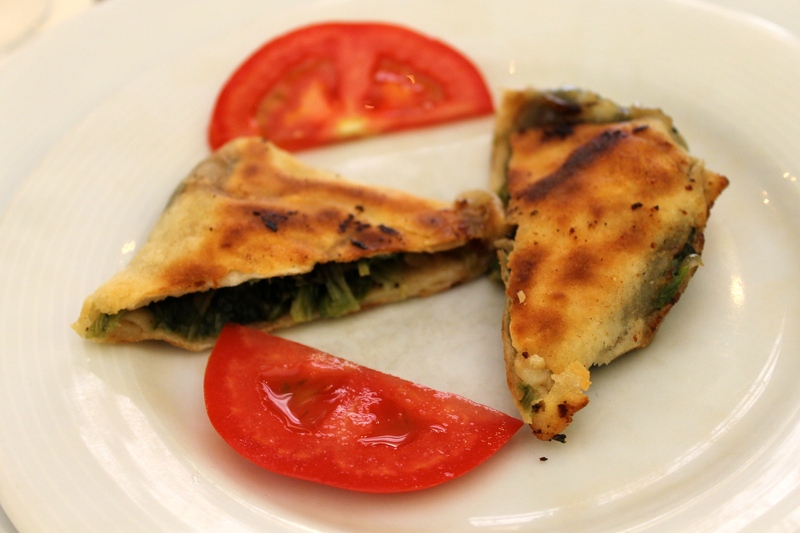 Ispanaklı saç böreği – Spinach and garlic are sautéed together, folded into pockets of yufka dough, and then pan-fried. Yufka is similar to phyllo dough, but it’s not quite as thin or fragile. 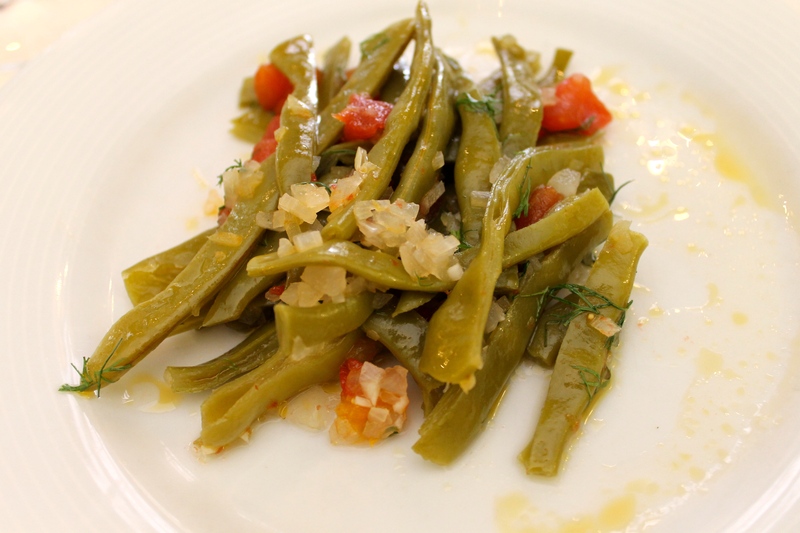 Zeytinyağlı taze fasulye – Fresh runner beans with tomatoes and onion cooked in olive oil and served with fresh dill. I confess that I was sort of skeptical about this dish because of the ungodly amount of salt that went into it. Seriously, this is not a dish for those watching their sodium intake. The resulting dish, though, was barely salty, and the beans were perfectly tender. I won’t lie; before setting foot in Istanbul, I really didn’t know much about Turkish food. I knew that lamb, baklava, and hummus were all standard fare, but then, can’t that be said about Greece or Lebanon, too? I had no idea what made Turkish food tick. And I’m still not sure if I do…but at least I know that I can fake that knowledge in the kitchen now. General rules of thumb: lots of eggplant, lots of tomatoes, some olive oil, a bit of red pepper, a bit of mint. 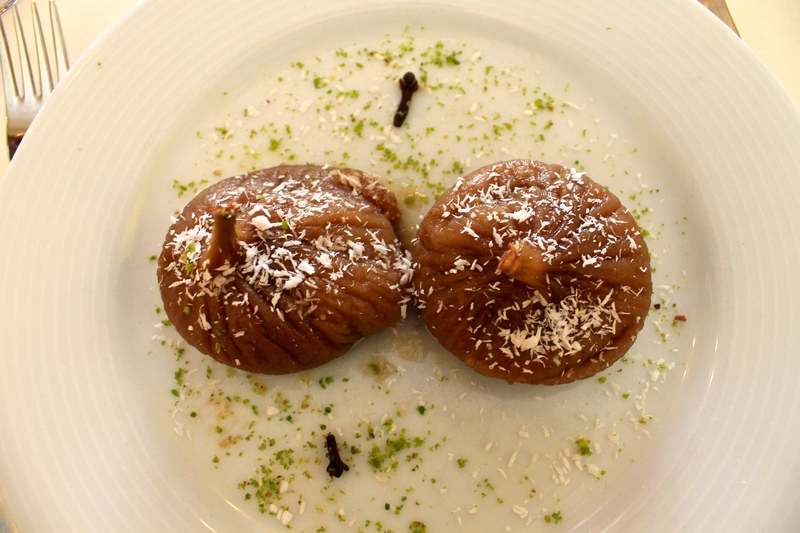 Hünkar beğendi – In English, this dish’s name translates to “sultan’s delight,” and there’s good reason for that. 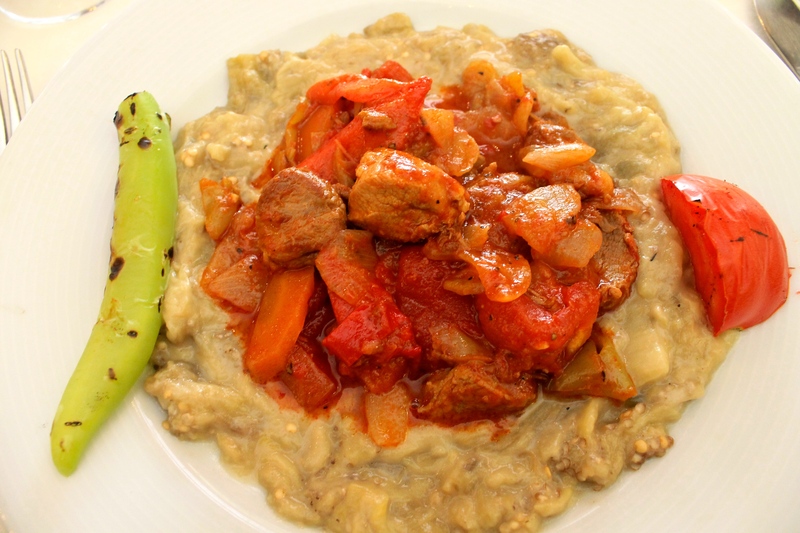 It’s a lamb and vegetable sauté served over a smoky, fire-roasted eggplant puree béchamel sauce. Utterly decadent. Turkish coffee, in the works. And do I even need to say it? The food was phenomenal. 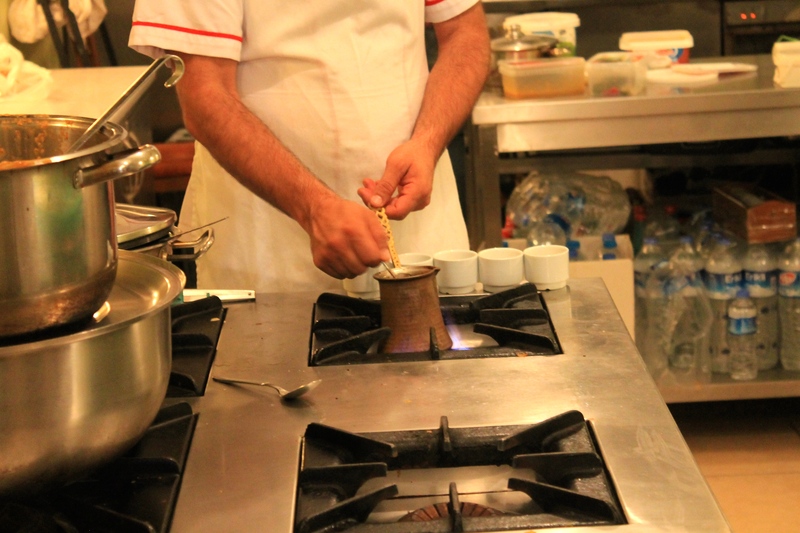 As an added bonus, we also learned how to make Turkish coffee. Rather than a specific kind of bean, Turkish coffee’s special for the way it’s prepared. Grounds and water are cooked together over an open flame, and once the brew is strong enough to make your eyes pop, it’s served in a tiny cup. Sugar is added during the boiling process. Since the coffee is served with the grounds, you can’t add sugar afterwards; otherwise, you’d end up drinking grounds-laden sludge. When cooking a larger batch, the coffee is made according to how much sugar each drinker prefers. Black comes first. Then a bit of sugar is added for those who want it slightly sweet, and those cups are poured. Then a bit more sugar…and so on. Since I like my coffee with a sugar content akin to cake, my coffee was poured last. Sometimes when I’ve done cooking courses, I walk away feeling like while I probably could pull the dishes off at home, assembling all of the foreign, hard-to-find ingredients means that it’s just too much of a hassle. Case in point: the foods I made in my Indonesian cooking course were all fantastic…but seeing as I can’t get candlenuts, galangal, lemongrass, decent chili peppers or freakin’ barracuda in Japan, I haven’t recreated a single one at home. Turkish cuisine, in contrast, involves a lot of familiar ingredients used and combined in unfamiliar ways. And that I can totally handle. Who wants to come over to my place for Turkish night?